On Sale Now! 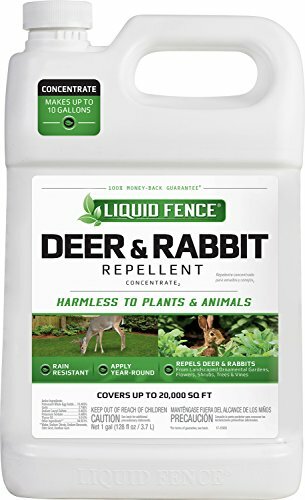 Save 4% on the Liquid Fence Deer & Rabbit Repellent Concentrate, 1-gal by Liquid Fence at Halo Grow Box. MPN: 70111. Hurry! Limited time offer. Offer valid only while supplies last. Works on scent so animals don't have to take a bite to be repelled. Will stop the foraging cycle before it begins. Long lasting & rain resistant.